A court granted an unopposed motion to hold a former state judge’s bribery trial in 2019, court records show. In a court filing made public Monday afternoon, U.S. District Judge Alfred H. Bennett signed off on an unopposed motion submitted by Rodolfo “Rudy” Delgado’s attorney last week to delay the bribery trial originally set for September into the new year. Delgado’s new trial date is set for Feb. 25, beginning with jury selection, the record states. Last week, Michael W. McCrum filed an unopposed motion to move the aforementioned September date for one in late January 2019, citing the volume of evidence related to the case against his client. In April, the court granted Delgado a similar motion for continuance. The San Antonio-based attorney also said in his motion that another reason for a delay in the trial was the two newly filed charges against Delgado — obstruction of justice and conspiracy — added in the summer. On Friday, Delgado was present in a Houston federal courtroom where he pleaded not guilty to the charges — specifically charges added June 19 and July 25, court records show. 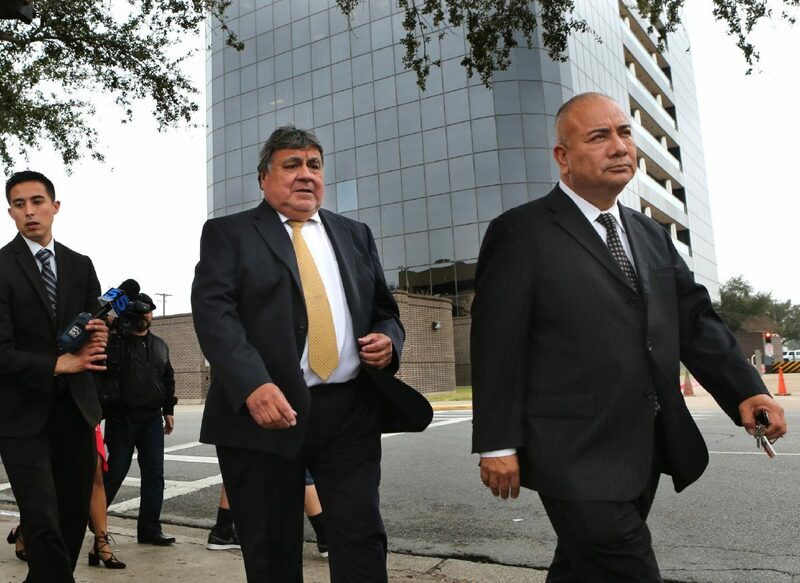 Delgado faces eight federal charges related to allegations that the former longtime judge accepted bribes from attorneys and others in exchange for judicial favors in his courtroom. Delgado faces three counts of federal program bribery, as many counts of violating the federal Travel Act for using a phone to broker the bribes, one count of conspiracy to commit bribery concerning programs receiving federal funds, and the obstruction of justice charge, court records show. The 65-year-old former judge, who resigned in late April after more than a decade on the bench, is accused of accepting bribes in exchange for judicial favors in his courtroom for the better part of a year and a half, according to court records. The bribes allegedly began in November 2016 until about late January 2018, just before Delgado’s arrest. Delgado, who faces a maximum 10-year prison sentence, will continue to remain free on a $100,000 bond with his next court appearance set for late January 2019, the record states.